Which is cheaper: fully comprehensive or third party car insurance? uSwitch research found that almost three quarters of UK motorists guessed wrongly – did you? Car insurance premiums are on the rise and are set to continue rising into the new year, making it more and more expensive for motorists to keep their vehicle on the road. However, according to new research gathered by uSwitch.com, millions of UK drivers are ending up out-of-pocket by choosing the wrong insurance cover, assuming that the option they’ve chosen is the cheapest one available. uSwitch discovered that almost three quarters of those questioned wrongly believed that fully comprehensive car insurance is more costly than third party cover – not anymore! As part of the survey, 10,038 drivers were asked by uSwitch: “Which of the following motor insurance policies do you think would be most expensive?” The result showed that nearly 72% chose fully comprehensive cover. uSwitch analysed their own website, looking at different quotes, and the cheapest one for fully comprehensive cover could cost around £691 less than the top third party policy, increasing to £939 for those aged 17 to 24. Alarmingly, according to uSwitch, of the 69% who do pick third party cover, no one compared the price they were quoted with a price for fully comprehensive cover. 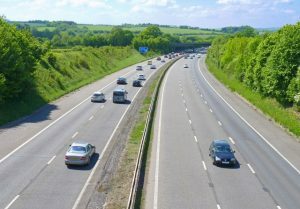 uSwitch believe that the cost to motorists for not taking the time to compare the difference in price between the two types of policies is a staggering £7.2 million. On average, a fully comprehensive insurance policy for a young driver would cost £2,247.45, compared to £3,186.24 for the average third party quote. Yet despite the massive difference in price of almost £1,000, 73% of young drivers said that they never check to see what it would cost for fully-comp cover, assuming wrongly that a fully comprehensive policy would be much more expensive. Kasey Cassells, insurance expert at uSwitch.com, says that third party cover is becoming more expensive because more and more insurers are choosing not to provide it as an option. “By widening your search, not only can you save hundreds of pounds with a fully comprehensive policy but you could have the added peace of mind that your own vehicle will be covered in the event of an accident,” said Kasey. Motorists dismissing fully comprehensive insurance cover as an option are basically losing out twice – you could save money AND receive a higher level of cover. For more information about our car leasing services, please click here.